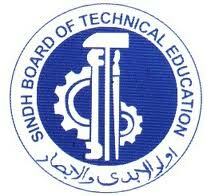 Karachi, Sindh Board of Technical Education has announced the SBTE DAE result 2018 in different fields and the candidates can get the detailed information regarding their SBTE DAE class result 2018, which is provided online. SBTE has already conducted the DAE class annual exams 2017 few months earlier and now SBTE has announced the DAE result 2018, which is provided there for the convenience of the candidates. the candidates can watch their roll numbers and their total obtained marks are given there so that they can know about their status in the annual exams result 2018.